0	0	Lighted Windows	In Stock - Order before 2pm for same day dispatchWant it on Wednesday 24 April? Windows to look at the world anew through, this daily Advent book will stir hearts to compassion and love this season. The world waits - sometimes holding its breath in fear of what tomorrow may bring, sometimes in a haze of busyness, or boredom, in which we hardly know what we are waiting for. Yet we still wait in hopefulness. The birth of a baby invariably stirs deep wells of hope in the human heart. Perhaps in this generation, things will get better. Perhaps this child will make a difference. The journey mapped out in this book is an invitation to look into some of these lighted windows, and discover a few reflections of what we wait for, and long for - reflections of God's guidance, his call to trust him and live by his wisdom. 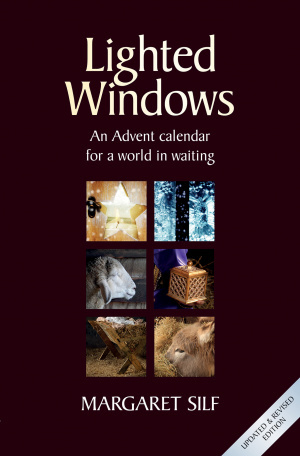 Each window seeks to bring familiar scripture into focus with everyday living, encouraging us to enter right into the place where God is coming to birth, and to make the experience of Bethlehem our own. And finally, the windows become doors, through which we are sent back to a waiting world to share our personal experience of God-with-us. Lighted Windows by Margaret Silf was published by BRF (The Bible Reading Fellowship) in September 2016 and is our 15694th best seller. The ISBN for Lighted Windows is 9780857464323. 'The first of December and Christmas, is just around the corner! It's the season of expectation, of hope, of anticipation. A season of dreams, and, for Christmas, a season where the deepest dream of all mankind meets. Face to face, with God's own dream for God's creation, made visible and tangible to everyone who seeks. ' This is the first paragraph of the Introduction and beautifully illustrates the starting point for this book. Each week has a different theme such as Glimpses of Trust, or of Guidance or Wisdom. Each day through Advent to Epiphany, Margaret Silf has carefully chosen a reading from the Bible, then meditated, at a satisfying length, on what we have read. By telling stories personal to her, sharing her thoughts and beliefs, she encourages us to spend time with the passage too. She finishes up with a short prayer. Highly recommended. Got a question? No problem! Just click here to ask us about Lighted Windows.